Rok Bagoros Stunting His Way Through Sao Paolo!! Stunts, samba, football and passion for bikes, this is what Bagoros and Sao Paolo have in common! Is it possible to dance in the rhythm of samba with a motorcycle? 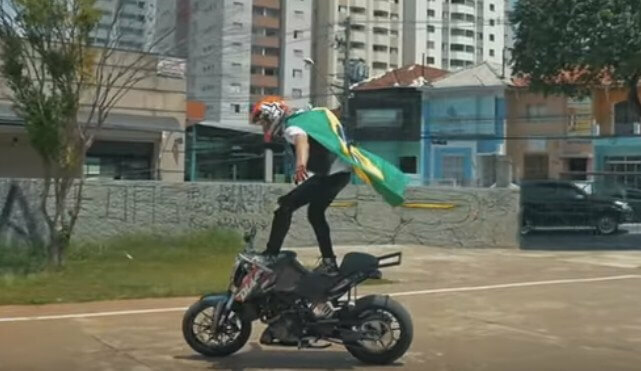 The famous KTM stunt rider recently visited Brazil, where he shoot his latest video in which he showcased his “dance” moves! During his visit in Sao Paolo, Bagoros performed in ‘Salao Duas Rodas’, the biggest motorcycle show in South America. Tideman in a war against the tarmac with his Skoda in the new Washkhana 2.0 – The Machine! Cool Chevy Apache custom truck with twin turbo V8! The “F-Bomb”, 1973 Camaro that makes over 1500 HP! The insane 2015 FORMULA DRIFT- Where drifting truly matters!